As a business owner or hiring manager, you’re likely already using employment background checks or have at least considered using them to screen your applicants and employees. One reason employers neglect to background check their employees is the belief that the process requires more effort than it’s worth. To evaluate this belief it’s important to look at the three key areas of a business that are affected by hiring the wrong person – hires that could be prevented with the right pre-employment screening program in place. Employee Turnover – Researchers estimate the cost of employee turnover to be anywhere from 30% to 150% of an employee’s annual compensation. For an employee making $40,000 a year, replacing that employee could cost you between $12,000 and $60,000. Occupational Fraud – Ranging from asset misappropriations to corruption schemes and fraudulent financial statements, occupational fraud costs U.S. organizations 7% of their annual revenues, according to a study by the Association of Certified Fraud Examiners. Catastrophic Events — Workplace violence, sexual harassment, and accidents that occur due to falsified qualifications or alcohol/drug use create catastrophic results to organizations. Compounding these events are the resultant lawsuits and negligent hiring litigation that often follow. Knowing the potential consequences of a bad hire and measuring the potential cost of these consequences allows you to much more realistically assess whether the effort required to implement employment background screening is worth it. We recently created a formula to measure the ROI of background screening by looking at the cost of each of the above impacts and then compare that to the typical cost of an employment screening program – which, by the way averages less than $50 per employee. We found that the business losses caused by turnover, occupational fraud, and catastrophic events that can be reduced by a proper background screening program add up to more $1.5 trillion annually. For an average company that amounts to approximately 13.4% of all revenues. Clearly, 13.4% of revenue is an astounding figure that offers plenty of room for a pre-employment background screening program to improve upon. The US Small Business Administration says that for every dollar an employer invests in employment screening, the return on investment ranges from $5-16, resulting from improved productivity, reduced absenteeism, lower turnover – and decreased employer liability. In our own ROI study we found that a mid-size company with 10,000 current employees and 500 annual hires reduced the liability per hire from $3,110 to less than $300 per hire. All of this for a $50 or less investment in screening! When you look at it closely, the thought that the effort to screen could lack value is an argument without the facts to back it up. Not only is background screening a necessary as part of a best practices approach to hiring, but it also delivers real value to a company’s bottom line. And in times when there are scarce few business expenses that can generate the type of ROI that background screening can and even fewer still that can preserve the safety of employees while protecting the public image of a company, the pro-screening argument brings significant merit. 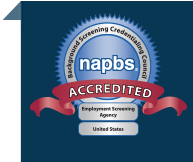 If you’re ready to bring pre employment screening into the hiring protocol for your company or if you think your screening program needs a fresh set of eyes, give us a call. We’re happy to talk about your needs and perform an ROI analysis specific to your company.